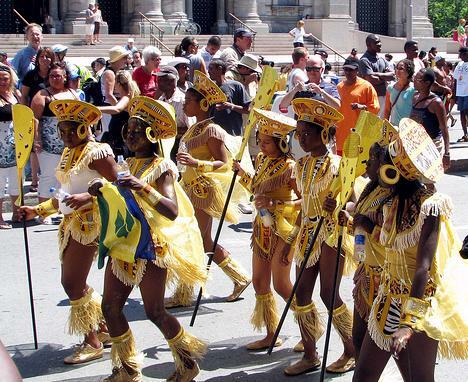 Photo: "Carifiesta 2008", by Midnight Poutine flickr pooler Humanoide. It's a widely known fact that people who self-medicade with leftover antibiotics end up creating superviruses... isn't it? A survey demonstrated the widespread ignorance of Canadians when it comes to viruses, medication and antibiotics. The survey found one in 10 Canadians have used leftover antibiotics from old prescriptions belonging to them or someone else. That "may be a significant contributor to the problem of increased antibiotic resistance," the report suggests. Wish you could turn down your moods sometimes? Researchers found that electrical brain implants canreset the mood switch in the brain from sad to normal, while briging other appreciable side effects such as improved sleep, better apetite control, and reduction of anxiety. A Montreal woman found a non-venomous python under her bed. Nevermind the spiders, people. We got snakes now. Cote-St-Luc doctors are urging the Quebec government to let US doctors practise in the province. Say goodbye to trans and saturated fats in foods from major fast food chains. Burger King's hash browns, for example, contain 4 times less trans fats and half the saturated fats they did last year. Impressive? It was about time.